The son of a builder and wool merchant, he was trained in David Hamilton 's office from 1827, becoming chief draughtsman in 1837. He set up his own practice in 1839, producing some of the city's finest Italianate buildings as well as first class-mansions throughout the country, and became a central figure in the development of Glasgow's architecture and town planning in the mid-19th Century. A close friend of sculptor John Mossman and merchant David Bell, he was to eventually personify Architecture in Mossman's sculpture scheme at the Queens Rooms, 1 La Belle Place (1857), in which he is depicted presenting the plans for the building to Minerva (actually Mrs Bell) accompanied by an assistant carrying a model of his Neilson Institute in Paisley (with its famous 'porridge-bowl' dome) as symbols of his genius and homage. Mossman was to contribute sculpture to several of Wilson's buildings, one of the most important of which was the former Glasgow Academy, 94 Elmbank Street, which was built in 1846, with a series of Roman Emperor profile portraits, but without its intended statues of Homer, Cicero, Galilleo and James Watt. These were eventually completed long after Wilson's death in 1878, after the building had been taken over as the High School. Wilson made a significant contribution to the laying out of the city's West End, designing Gartnavel Royal Hospital, with its corbel heads of Queen Victoria and Prince Albert (1841); Kirklee Terrace (1845-64), both in Great Western Road, and the plans for the laying out of the Botanic Gardens (1840); Kelvingrove Park and Woodlands Hill (1852-5). His Woodlands Hill development, comprising the Italianate Park Circus (1855-8) surrounded by the French Renaissance Park Terrace (1854-9), has been hailed as the finest example of Victorian town planning in Britain, and was made all the more spectacular with the addition of the soaring Lombardic towers of his Free Church College (1856-7) and the pinnacled Gothic tower of J T Rochead 's Park Church (1856-8, partially demolished 1967-8). A number of interiors in Park Circus were designed by other architects, such as No. 22, which was fitted out by James Boucher in 1872-4, for Walter Macfarlane , and is the most splendid domestic interior in the city. Later additions to the house by James Salmon II in 1897-99, for Walter Macfarlane II, provided early opportunities for the Glasgow Style sculptors Johan Keller and A H Hodge . Another magnificent interior was at 1 Park Terrace, for the cotton manufacturer John Houldsworth, who commissioned the London sculptor John Thomas to produce its decoration and furniture (1857). So impressed was Queen Victoria with their richness when she visited the sculptor's studio, she exclaimed that Houldsworth should be called 'Goldsworth'. The interiors were, however, never completed due to Houldsworth's death in 1859, although Thomas did complete the family's mausoleum in the Necropolis. Wilson also designed monuments for the Necropolis. 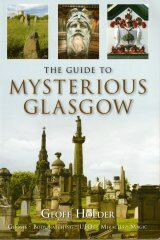 These include the Gothic monument to Mrs Mathew Montgomery (c. 1852), and the less well-known monuments to Adam Paterson and Alexander Craig. Wilson's plans for sculpture in his designs were occasionally frustrated by lack of money; an important example being the great granite staircase from Clifton Street to Woodlands Terrace, which includes colossal pedestals for statues which never materialised (1854). Two of his important designs with completed sculpture schemes are the Royal Faculty of Procurators, 62-8 West George Street, which is adorned with fourteen keystone portraits of prominent legal figures modelled by A H Ritchie and carved by James Shanks (1854), and the earlier Royal Bank of Scotland, 92-100 Buchanan Street, which includes anonymous heads by an unidentified sculptor (1850). A noted designer of tenements, one of Wilson's finest is at 2-5 La Belle Place, adjoining his Queen's Rooms, which was also designed for David Bell and features a wealth of sculptured references to Bell and his Masonic interests, by Walter Buchan (1856-7). His other domestic buildings in the city include: 64-8 Partickhill Road (1845); Greenhead House, Greenhead Street (1846); Breadalbane Terrace, Hill Street and 102-12 Hill Street (1846); and 1055-65 Sauchiehall Street (1860). It was at Breadalbane Terrace that Wilson reputedly introduced the first full-length bay windows to Glasgow's domestic architecture, although these are at the rear of the building rather than at the front, which became the accepted practice. For the city's South Side he designed the Southern Necropolis Gateway, Caledonia Road, which has since lost its poignant hourglass corbel (1848-9); and for the East End, Anderson's Mill, Duke Street (1849), which was converted to the Great Eastern Hotel (a notorious working men's hotel) by Neil C. Duff, in 1907-9, and currently awaits conversion to quality housing. Wilson's important buildings outwith Glasgow include Rutherglen Town Hall, which features sculpture by John Mossman (1861-2) and the Neilson Institute, Paisley (1849-52), whose modern interior features a statue of Diogenes by Alexander Stoddart . After his sudden death, on 6th February, 1863, Wilson was buried in the Southern Necropolis.